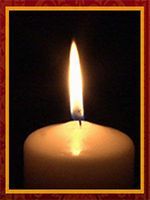 The death of a loved one can be one of the most difficult times in a person’s life. A funeral is a ceremony for honoring, celebrating, respecting, sanctifying, or remembering the life of a deceased beloved. Making decisions now and pre-planning your funeral can help ease the emotional and financial burden, and relieve your family of having to make important and difficult decisions during an already taxing and challenging time. Pre-planning funeral arrangements is a responsible, caring act that can lessen stress for your grieving loved ones. Steps you take to make pre-funeral planning and arrangements today can help assure that your wishes are being honored, so you can celebrate your life, your way. It will also give your family the assurance that they are carrying out your final wishes. Pre-planning gives you time to make end-of-life decisions calmly without feeling rushed. It will also give you an opportunity to choose the right funeral and cremation provider to assure that your loved ones are treated with dignity and care during their time of grief. Understanding the benefits of pre-planning has inspired many to take the steps needed to plan their own arrangements. 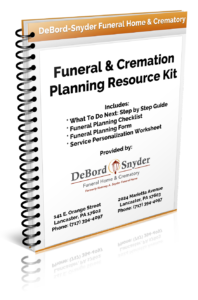 When you pre-plan with DeBord Snyder Funeral Home & Crematory, you’ll meet with our knowledgeable and friendly staff for a no-obligation consultation. We’ll listen carefully to your wishes and offer our expertise and suggestions to help you create a customized plan that fits your specific wishes, needs, and budget. The death of a loved one can be one of the most difficult times in a person’s life. Steps you take to make funeral plans and arrangements today can help your family through this time by reducing decision-making and giving them the assurance that they are carrying out your wishes. Pre-planning gives you time to make end-of-life decisions calmly without feeling rushed. You will also have time to choose the right funeral and cremation provider to assure that your loved ones are treated with dignity and care during their time of grief. 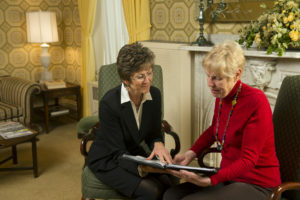 When you pre-plan with DeBord Snyder Funeral Home & Crematory, you’ll meet with our knowledgeable and friendly staff for a no-obligation consultation. We’ll listen carefully to your wishes and offer our expertise and suggestions to help you create a customized plan that fits your needs and budget. If you have already made arrangements with another funeral home before discovering and learning more about the compassionate and diligent family-focused approach of DeBord Snyder Funeral Home & Crematory, rest assured that your plans can easily be transferred. We make this process as simple as possible for you and personally handle all documentation. The benefits of funeral pre-planning are wide ranging from logistical, emotional, and financial standpoint. 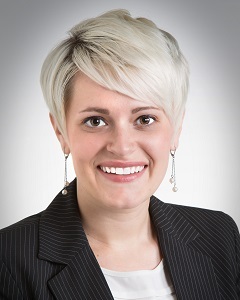 We invite you to call us today for a no-obligation consultation and find out why generations of families have counted on us to help with their final arrangements: (717) 394-4097. Pre-financing your funeral is an option available to you as you start pre-planning the funeral arrangements. It may offer peace of mind knowing that you will be relieving the financial burden from a family member at a later time. Also, if you choose to pre-pay your funeral, you lock in funeral costs at today’s prices. Financial benefits of pre-planning and pre-paying can be quite significant. At DeBord Snyder Funeral Home & Crematory, we take time to explain in detail the various inflation proof pre-payment plans we offer, and can also customize a plan that will fit your personal budget.